On December 15, 1793, 19th-century economist of the American School of capitalism Henry Charles Carey was born. Carey was chief economic adviser to U.S. President Abraham Lincoln. 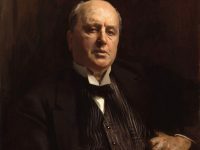 Henry James Carey succeeded his father Mathew Careyin his publishing company, who was an Irish influential economist, political reformer, editor, and publisher, and who had gone into exile for political reasons. 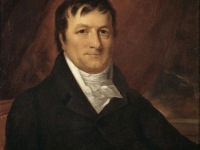 In 1821 Carey took over the management of the business and was instrumental in the rapid growth of book sales in the USA with the introduction of trade sales. In 1835 he co-founded the Franklin Fire Insurance Company of Philadelphia. While publishing his 4-volume treatise Principles of Political Economy, Carey retired from business. 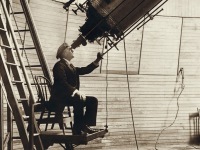 In 1863, Henry Carey became an Associate Fellow of the American Academy of Arts and Sciences. In 1868 Carey became a foreign member of the Royal Swedish Academy of Sciences. 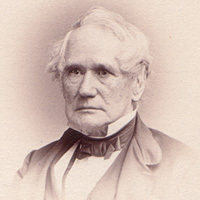 Henry Carey’s first major work on the principles of political economy was followed by numerous works on a variety of topics including wages, the credit system, interest, slavery, and copyright. In 1858/59, Carey published his influential work The Principles of Social Science. 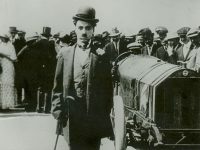 In it, the author attempted to show that independently of human wills, there are natural systems of economic laws, which is essentially beneficent and spontaneously increases prosperity of the whole community, and especially of the working classes, except when it is impeded by the ignorance or perversity of humankind. Carey further rejected the Malthusian doctrine of population. In it, it is maintained that the only situation in which the means of subsistence will determine population growth is one in which a given society is not introducing new technologies or not adopting forward-thinking governmental policy. Carey believed that land in industrial life is an instrument of production formed by human labour and its value was due to the labour expended on it in the past. As part of his studies, Henry Carey researched the occupation and reclamation of land with peculiar advantage as an American, for whom the traditions of first settlement were living and fresh. According to Carey, the difficulties of adapting a primitive soil to the work of yielding organic products for human use can be lightly estimated only by an inhabitant of a country long under cultivation. The scientist believed that the overcoming of these difficulties by arduous and continued effort entitles the first occupier of land to his property in the soil and its present value forms a very small proportion of the cost expended on it. Therefore, property in land is only a form of invested capital, a quantity of labour or the fruits of labour permanently incorporated with the soil. According to Carey, the owner of this capital is compensated, as any other capitalist, by a share of the produce. The owner is not rewarded for what is done by the powers of nature, and society is in no sense defrauded by his sole possession. The Ricardian theory of rent is a speculative fancy, contradicted by all experience. Unlike what the theory supposes, cultivation does not begin with the best soils and move progressively towards poorer soils. The light and dry higher land is cultivated first; only when population becomes dense and capital accumulates is low-lying land attacked and brought into occupation. Low-lying land is more fertile but also has morasses, inundations and miasmas. Rent as a proportion of the produce sinks, like all interest on capital, but increases as an absolute amount. The share of the labourer increases both as a proportion and an absolute amount. Thus, the interests of these different social classes are in harmony. But, Carey proceeded to say, in order that this harmonious progress may be realized, what is taken from the land must be given back to it. All the produce derived from the land is part of it, and must be restored to avoid its exhaustion. Hence the producer and the consumer must be close to each other; the products must not be exported to a foreign country in exchange for its manufactures, and thus go to enrich as manure a foreign soil. In immediate exchange value, the landowner may gain by such exportation, but the productive powers of the land will suffer. In Henry Carey’s letter to the speaker of the House of Representatives, Rep. Schuyler Colfax entitled The Way to Outdo England Without Fighting Her, the author advocated the continuance of Abraham Lincoln‘s Greenbacks policy of debt-free, government-issued money as a way of freeing America’s economy from British capitalists, who sought to control America’s wealth. Carey further suggested raising the reserve requirements on private banks up to 50%. In 1863 he was elected to the American Academy of Arts and Sciences. Since 1833 he was a member of the American Philosophical Society. Carey died at the age of nearly 86 on 13 October 1879.